We are very happy to announce that we have entered into a sponsorship agreement with Radio Nahmaste, a weekly radio show on iOM.fm, catering to the worldwide "Conscious Community." Alchemy Stones will be the primary sponsor of the show for the rest of 2015, and hopefully beyond. 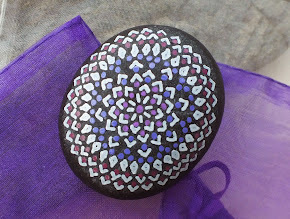 This is an exciting development, as it will allow us to reach out to an audience interested in the unique combination of art+mysticism that is a central part of what the stones represent. 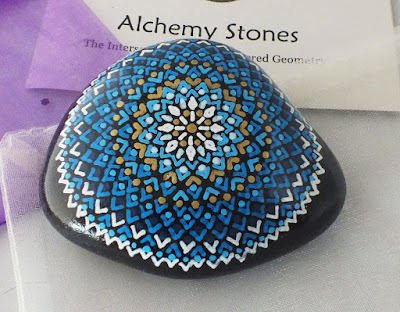 As part of our sponsorship, we will also be contributing an Alchemy Stone every month to be awarded for the show's "Nahmaste Award" given to individuals and organizations for exceptional contributions to human consciousness. Since we are a show sponsor, we also hope you'll listen into the show-- hosted by Sarah Nash and billed as "A Different Brand of Enlightenment," it offers something for every taste within the realm of self-development, spirituality and consciousness raising. You can catch the show every Thursday at 3:00pm US Eastern/12:00 noon Pacific/9:00pm Central European time.